Time Tracker allows businesses to implement a simple mobile solution for logging time and expenses, track costs against Projects, Cost Codes and Work Orders. Using multiple spreadsheets can create silos of information that cannot be shared effectively within any organisation, but Time Tracker unlocks your data and makes it accessible. 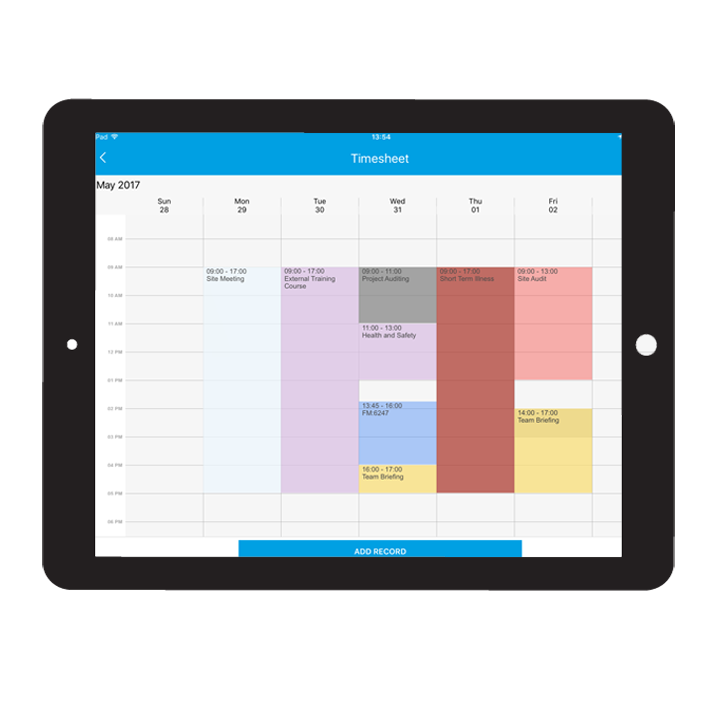 Time Tracker supports all major mobile technology platforms including iOS and Android, and our applications allow your teams to add mobile time and expense records offline any time and anywhere for future synchronisation. Time, expenses and mileage can be entered via a browser, phone or tablet. Time Tracker captures and tracks both productive and non-productive time which allows employees to register sick leave, holidays and administrative tasks. Personalised views allow staff to track local project data and costs or set up role based access to projects so that staff can view only what they need. Time Tracker is fully integrated with the mobiess platform and can link data from its ServiceMaster and Communicator products, providing a single detailed view of staff and subcontract workers.